The Miami Heat received some unfortunate news on Tuesday after it was revealed by Heat team president Pat Riley that guard Dion Waiters will miss training camp and the start of the 2018-19 season. Per Pat Riley: “Dion Waiters, who is currently rehabbing from foot surgery, will not be available when the team begins training camp on Sept. 25th and is also unlikely to be ready for the start of the regular season on Oct. 17th … (1/2)"
Waiters, who underwent surgery on Jan. 23 to repair instability in his left ankle, was projected to be out at most 10 months. If that maximum projection were to hold true, Waiters would be returning on Nov. 23. Nonetheless, the shooting guard had been incredibly optimistic over the offseason as he hinted several times that his recovery was going well. 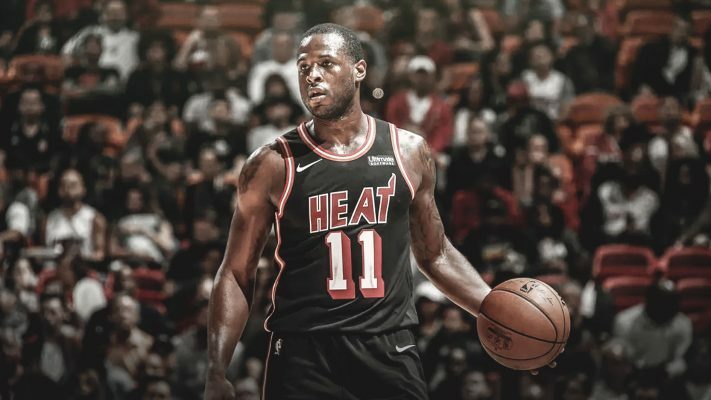 The Heat will now look to replace Waiters in the starting lineup with Tyler Johnson, Wayne Ellington, Rodney McGruder, Josh Richardson, or possibly even the recently signed Dwyane Wade. Wade announced on Sunday that he would be returning for a 16th and final season with the Heat on a veteran’s minimum deal.